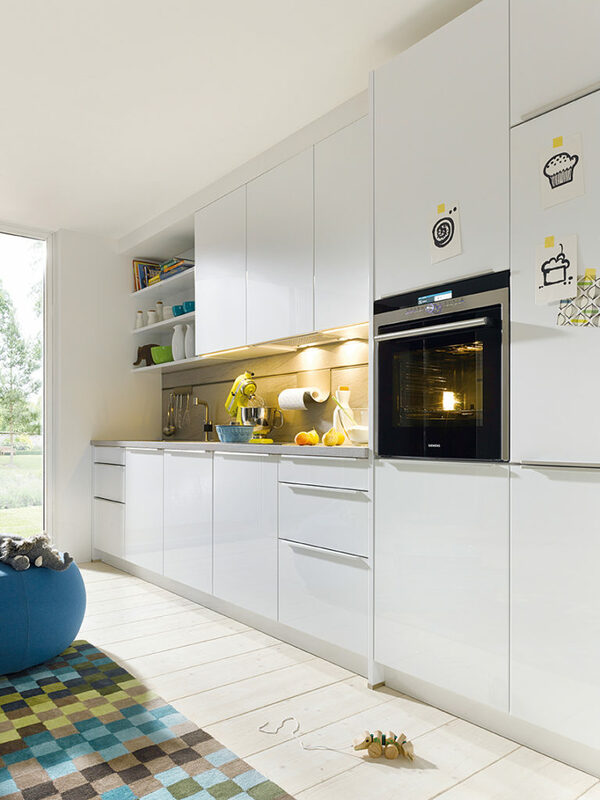 The realisation that a kitchen can never be better than its planning often dawns far too late for some. Hence the importance of taking time to list beforehand all the things which will need to be included in the kitchen area. For example is a dining area or breakfast bar needed yes/no? Do you want storage room, open shelf units and does your extractor hood need to be vented or recirculating? 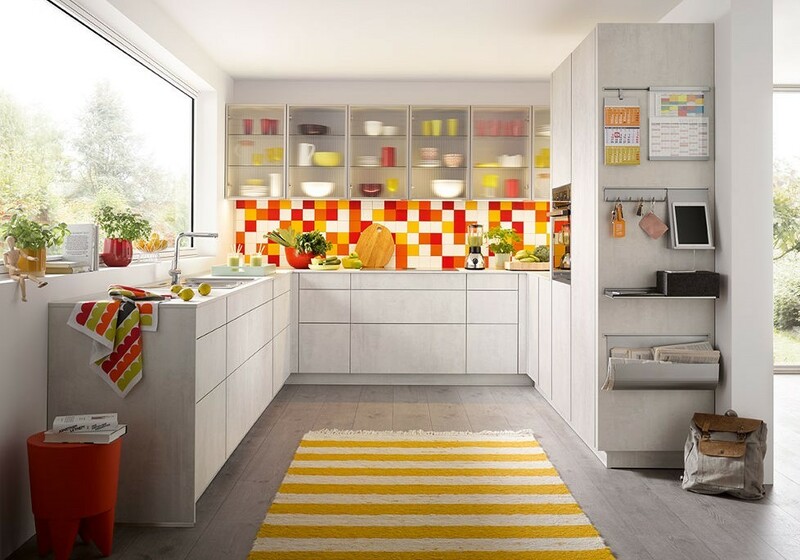 Going through absolutely everything that you want at the planning stage is key to achieving your perfect kitchen. It is also important to consider the shape of the kitchen. Will a single row with additional storage space for provisions and utensils/equipment be adequate (as pictured below)? Or should the shape be L or U? What about surface finishes: matt or high gloss, real wood or imitation, coloured or white? What kind of flooring: tiles, laminated or wooden? 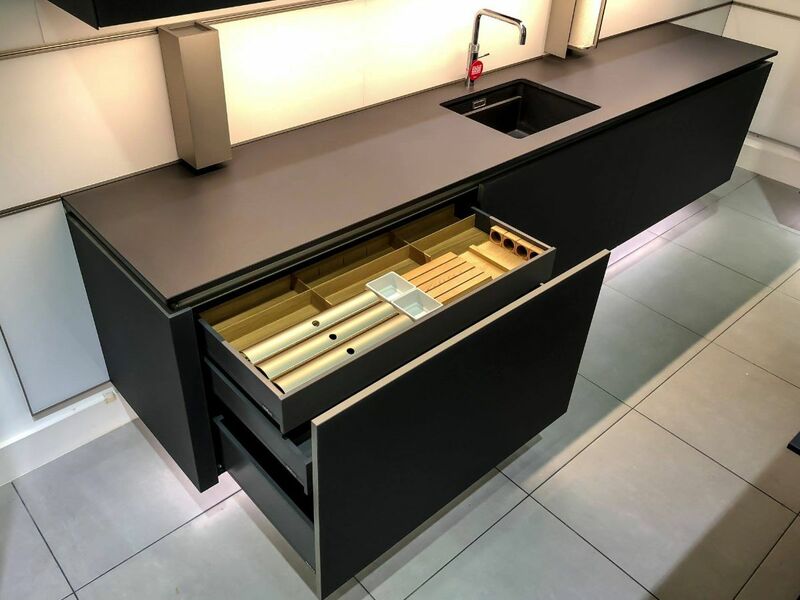 Worktops: stone, ceramic, wood or laminate with upstands or not? Choosing the right colour combination with all these elements is also key to the entire room looking right. 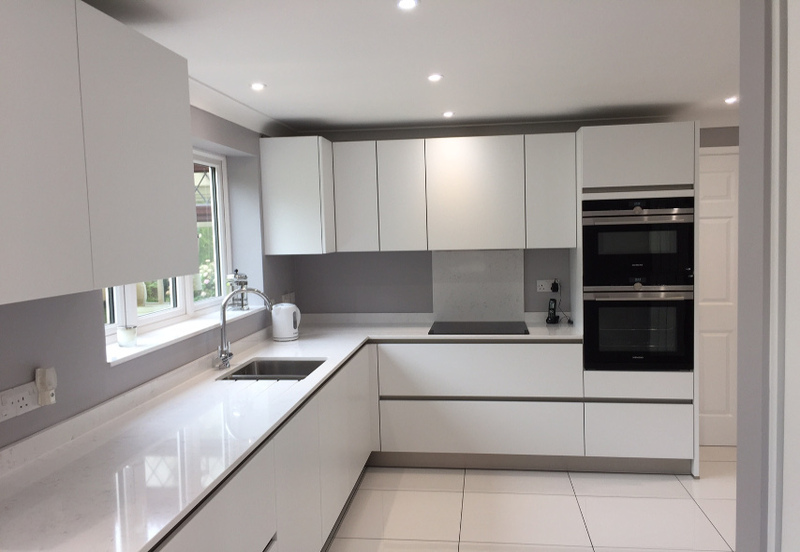 There are many decisions to make at the planning stage and they all have one ultimate goal: finding a kitchen that has everything you want and that works for you aesthetically and practically.